I just got back from Montenegro, where I picked up my new one-year residence permit. Every year, I have to go spend one or two days to renew the card and get my new, active residence card. If I spend more than 183 days in Montenegro, I will be required to pay tax on my worldwide income at their flat rates of 9%. No matter how long I maintain this temporary residence permit, I will not be eligible for citizenship by naturalization. And, you must admit, saying that I am a resident of the very alluring sounding Montenegro is a benefit in and of itself. All of these considerations, and more, go into the decision to obtain second residence in another country. Some countries like Montenegro make the process straightforward enough (at least if you have a local assisting you), while large countries like the United States require stacks of paperwork and long, uncertain wait times. That said, there are more people in the world seeking a US Green Card than a Montenegro temporary residence permit. However, most people in the world aren’t trying to “go where you’re treated best”. I’ve been working on some residence permits recently and made notes about each consideration I take into account whenever I get when, or whenever I advise someone else about getting one. Today, I want to share the ten things you should consider about any second residency. What is a country’s reputation? What is the reputation of their residency program? These are important questions to ask. Spain, for example, offers its own “Golden Visa” program for real estate investors, but there are some unpleasant stories of how applicants were treated. I never suggest that people operate on hearsay, but it’s important to understand who you are getting into business with. If you’re seeking a residency for tax purposes, make sure it’s taken seriously. For Australians, Vanuatu residency may not be the best choice if the ATO will treat it as a suspicious tax avoidance move. If you’re seeking residency for citizenship purposes, make sure the country is reputable. The last thing you want is to become an Iraqi citizen and then try to travel or open bank accounts. There are two ways to use residency: “paper residency”, as explained in my recent video and the more traditional path. Paper residency involves obtaining a residence permit in a country that doesn’t require your physical presence, whereas the traditional route is used by people who want to actually live there. For example, the internet has been buzzing for years about how Paraguay allows you to fly there, make a bank deposit, get residency, and then leave and rarely if ever come back before applying for citizenship. This is “paper residency” used for a specific purpose. In the case of Paraguay in particular, this hasn’t been working out as well as recently, but you get the idea. However, the same person might also want to actually live in Costa Rica, and might get residence there to assure that he won’t be refused entry when coming as a tourist for the nineteenth time. This person will want to choose a country of residence that offers great quality of life, which is why Costa Rica and Malaysia have more bona fide residents than Paraguay and Laos. However, I recommend that you factor quality of life in no matter what reason you have to seek residency. You never know when you might need a place to go for safety, tax, or other reasons, and it’s better to have the legal ability to live in a place that is pleasant if that’s possible. For that reason, I sometimes counsel people to set up residency in a larger country like Mexico that has a wide array of living options, sceneries, and cultures. Residency in Monaco might sound nice, but you might get tired of spending time there, too. Some countries require you to live there almost full-time if you want to keep the residency. Turkey, for example, recently suggested requiring all residence permit holders to spend nine months per year in the country – likely subjecting them to tax on their worldwide income – or else lose their permit. This is known as a “physical presence requirement”. Some countries have strict ones, others have nebulous ones, and some have barely any at all. It’s important that you factor in physical presence requirements when choosing a residency. In the example above, paper residency in Paraguay works for people – at least theoretically – because they don’t want nor need to spend time there. If Paraguay required residents to live there for six months, it would become less attractive. Make sure you check how long you’re expected to live in a country before obtaining residency there. 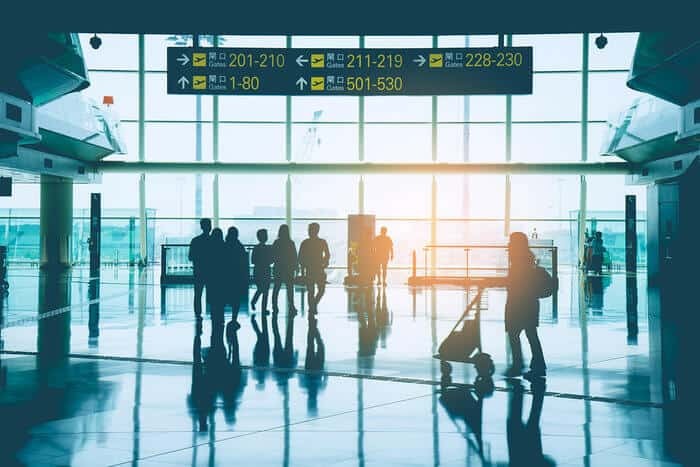 While there are some tax situations where obtaining residency for one or two years is all that is needed, it would generally be a waste to go through the process if your inability to spend time in the country caused you to lose your privileges there. That’s especially true if you plan to seek citizenship in the country. Some countries have rather nebulous physical presence requirements, so it’s important to understand not just the letter of the law, but how it is interpreted. There have been cases where the law is silent on physical presence, causing residents to think there was no requirement… only to later be denied a renewal because they hadn’t been there. Countries like Vanuatu have been lax about renewing permits but are becoming more strict, so understand the requirements and the trend for your actual presence there. Will your residence permit entitle you to special travel rights? In many cases, the answer is “no”, but there are some cases where being a resident can serve as a sort of bonus passport. Several Central American countries, for example, will waive the visa requirement for US Green Card holders, and fewer of them will do so for permanent residents of Canada and the European Union. This is also possible in parts of eastern Europe. That means you could have the world’s worst passport, but your residence permit will allow you entry to the country where your passport doesn’t. Georgia has the most liberal policy I’ve seen, allowing a visa waiver to those with visas or residence permits from any EU/EFTA country, any GCC country, most overseas territories of EU countries, Australia, Canada, Israel, Japan, New Zealand, South Korea or the United States. Of course, a resident of one European Union country has the freedom to travel within the Schengen Area and the EU freely, albeit with some technical limitations. Someone holding a Tier C passport (ie: one with poor travel privileges) might prefer an EU residency in order to be able to freely move around a wider area. If you are seeking residency for the future citizenship, you should of course also consider the travel privileges the future passport will offer you. It’s important to consider travel privileges as part of a “passport portfolio”, rather than in a vacuum; an Israeli citizen enjoys good travel privileges but might want a second passport to travel to Muslim countries. Some residencies come with minimal investment requirements. While I have soured on Panama’s Friendly Nations Visa in many cases as of late, there is no denying the low barrier to entry of $5,000 in a Panama bank account and formation of a Panama company. Government and legal fees will likely cost you more than the actual bank deposit. A number of other programs have low minimum investments ranging from small bank deposits in Panama and Paraguay, to the purchase of any habitable property whatsoever in Montenegro and Turkey, to formation of a company with or without workers across Europe. There are so many options that it’s easy to get confused. Of course, some of the most desirable options are considerably more expensive. Monaco, quite possibly the sexiest residence permit one can obtain, requires a 500,000 euro bank deposit as well as purchase of a property. I have heard from two Monaco resident friends of mine that the police are becoming more picky about who they approve, and that you should plan to invest several million dollars if you want Monaco residency. For someone who wants to live in Monaco, the high cost of living will be an issue regardless. However, Monaco residency probably wouldn’t make much sense if you didn’t plan to live there most of the time seeing that you would be tying up so much money that could be invested in emerging market real estate earning 20%. Someone I’ve been working with expressed interest in Bulgaria investment residency and future citizenship, which comes with a 512,000 euro bond investment as well as legal fees. 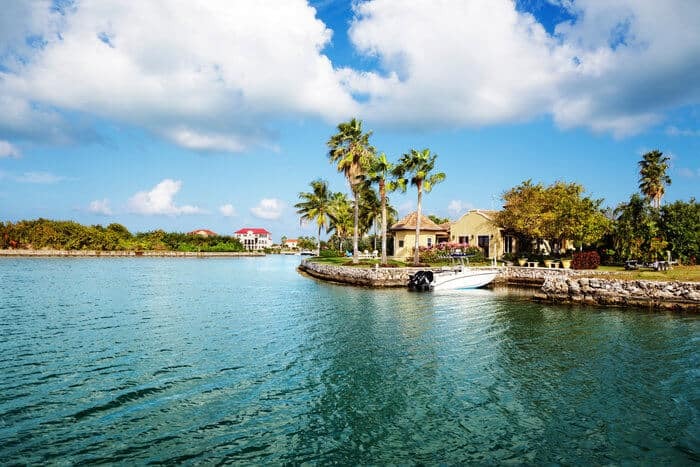 However, when we did the math we realized that he could easily earn at least $150,000 on that money by investing it over five years… enough to buy a slightly lesser but still good passport in the Caribbean. This is part of quality of life, but refers to the availability of financial and other necessary services in your country of residence. How easy it is for a foreigner to open a bank account there? How easy is it to file a tax return? How easy is it to rent your home when you’re not living there? Some countries require you to open a bank account and deposit cash before applying for residency, yet banks there make the process extremely difficult. In one example, Panamanian banks aren’t difficult, but the process could be easier in my opinion. If part of the residency process is next to impossible, you should weigh that against the possible benefits. If you do intend to stay in the country, how easy will it be for you to file a tax return, even if you don’t owe anything? In some countries, finding competent accountants to help you is difficult, or competent professionals charge very high fees relative to the cost of living. Having a good tax advisor is a good idea for any country you establish residence in, even if you are not tax resident there. Some countries have a tendency to audit money sent to their banks by residents, and may start asking questions that a tax advisor could help you prepare for, or avoid in the first place. Other countries have few services to rent your property out, or to sell it if you want to move. Property management can be an unheard of concept in some places. You can’t expect everything in your residence country to function the same as in your home country. If you do find someone who does a good job and is proactive with services like accounting or real estate, don’t let that go unrewarded. Good service is hard to find in any country, let alone some emerging countries that make second residency easy. To many of us, efficiency is important. Particularly if you are required to be present for all or part of the residency granting process, you may not want it to drag out. Even expats who plan to live in the country of residence at least part-time (rather than applying and leaving) would usually prefer efficiency. Brazil, for example, is so notoriously inefficient that people speak of the “Brazil Cost”. It can take up to a year for your company, and bank account, and then residence permit to be issued. The bank account alone has taken some folks months to open and fund; it’s a madhouse. Efficiency is one of those cultural indicators that I look at to determine if I want to go to a certain country. My girlfriend always understood what I do, but still wanted us to summer in places like Spain or Italy where inefficiency is a major issue. Personally, I wouldn’t seek residency in a country where bureaucracy was the name of the game. Some countries are taking efforts to improve their residency process and function more like a business, offering guaranteed approval timelines or allowing you to pay for express service. These are the countries that I prefer, but you are certainly entitled to make your own decision regarding efficiency. 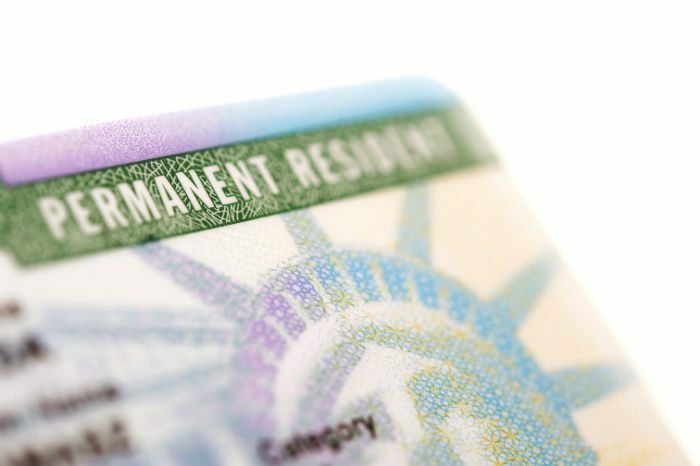 Your need for a second citizenship should be considered when getting residency. While I do believe that those of us who hold multiple nationalities should consider creating a residency portfolio as well as a citizenship portfolio, if you need a second passport you ought to prioritize that with your residency. Quite simply, not every country allows you to convert the second residency into a second passport. Greece, for example, offers one of Europe’s cheapest immigrant investor programs that requires a 250,000 euro real estate investment. The caveats, however, are that you have to trust your money to the Greek government, but also that there is no way to convert this residence status into Greek citizenship. Similarly, most Asian countries do not allow for citizenship, or certainly, don’t make it easy. Cambodia’s easy “residence permit” will never confer citizenship, nor have I heard any examples of Malaysia MM2H holders becoming citizens. The only exception is Singapore, and Singaporean PR and citizenship has become far harder to obtain (and has a physical presence and tax requirement). Europe and the Americas are generally the most open, although some countries like Bulgaria have a reputation for being biased against those who aren’t of their ethnic background. Other countries that have been overhyped might make future citizenship applications more stressful as a result of increased scrutiny. Depending on your goals, capability with your home country is important… and the definition is different. On an extreme level, a US citizen could be getting into hot water setting up residency in Iran or Cuba, for example. I doubt that many readers want Iranian residency, but there are lesser issues that could still cause problems. For example, some countries welcome Indian citizens, while others don’t. However, there are other considerations such as taxation. If you plan to buy a home, your home country may impose taxes that your residency country does not. If tax credits are at play, two countries with very different tax systems may not play well together and you’ll end up paying a lot more in taxes. For example, countries with low property taxes may charge a transfer tax which is not entitled to a credit on a foreign tax return. Quite simply, a residence that requires you to file a tax return or pay tax there should be considered on that basis. There are several zero tax countries that will not tax you, although there are limited cases where this may be a bad thing due to tax treaties. In general, a zero-tax or territorial tax country is the best so that only income derived from that country is taxed in most cases. If a residence permit requires you to spend 183 days or more in the country and the country has a residential tax system, you will be legally required to pay tax. Some countries offer tax exemptions to foreigners in order to attract wealthy residents, while others have multi-year tax exemptions. However, tax exemptions may not always apply to you. Many people view Portugal’s non-habitual tax regime for foreigners as a blanket tax exclusion, when in reality only certain types of income are exempt. Anyone doing business in tax-free or low-tax offshore jurisdictions will likely be taxed if they live in Portugal, even if they qualify for an exemption. The tax rates may be lower than locals pay, but if you planned to pay 0% you’ll likely be frustrated. On the other hand, some places that appear to be high-tax countries offer exemptions that actually do work for offshore business owners. Consider this, as well: if you want a Tier A second passport, it will be hard to get through residency without paying some tax. There are some ways to pay little or no tax and still meet naturalization criteria in several countries in Europe, but that is rare. Canada, the United States, the United Kingdom, Australia, and similar countries have strict physical presence rules that lock you into paying tax there for at least four years. It’s important to consider all of the facts and all of the factors of each country before choosing the best place for your second residency. Chances are, some people could benefit from multiple citizenships and multiple residencies, but starting with one residency is always the best way to get traction. Learn how to crack the code and legally pay zero tax while traveling the world. Watch our Nomad Capitalist Crash Course. Andrew Henderson is the world's most sought-after consultant on legal offshore tax reduction, investment immigration, and global citizenship. He works exclusively with six- and seven-figure entrepreneurs and investors who want to "go where they're treated best". He has been researching and actually doing this stuff personally since 2007. Andrew, I became a resident of Monaco a few years ago, and your information is not entirely correct. Yes, you have to have a place of residency there, but it does not have to be purchased. In fact, most people rent,and the smallest apartments can cost no more than a few thousand euros per month. As for the financial requirement, that depends entirely on the financial institution you have chosen. I originally walked into the HSBC branch, and they asked for a minimum of 5 million euros, whereby the bank next door asked for 100,000 euros, in order to present to the authorities a letter indicating means of self support.